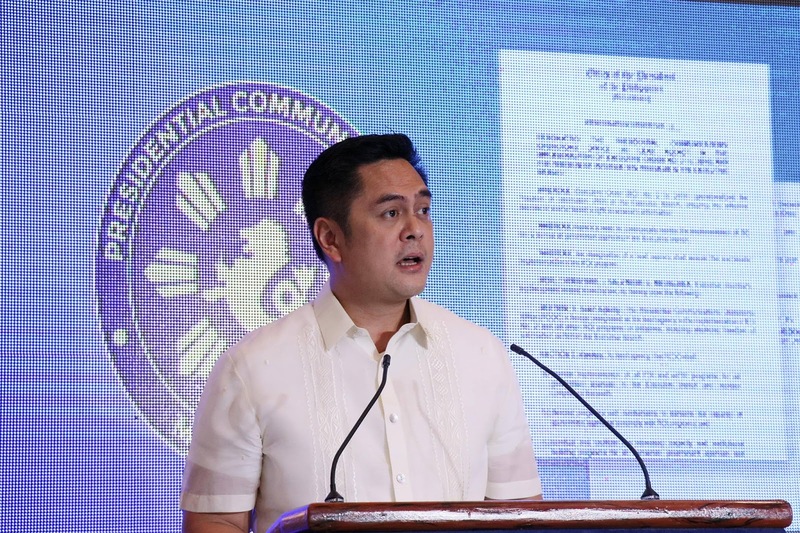 Presidential Communications Operations Office (PCOO) Secretary Martin Andanar was awarded the ‘Most Outstanding Public Servant’ during the 2nd Diamond Golden Awards held Saturday at Marco Polo Hotel Ortigas in Pasig City. 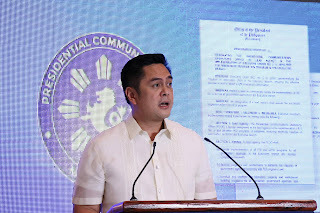 Aside from Andanar, other public servants including Senator Cynthia Villar, Quezon City second district congressman Alfred Vargas and Interior and Local Government Assistant Secretary Marjorie Jalosjos and other individuals from the media and entertainment industry have also been given awards. Baby Go, a businesswoman and an indie film producer, formed the Diamond Golden Awards to recognize individuals who support the PC Good Heart Foundation. The foundation provides medical assistance and scholarships to less fortunate Filipinos. Last month, Andanar received recognition from the National Press Club (NPC) for his ‘unstinting’ support to press freedom and welfare of the Philippine media community. The NPC commended Andanar for the central role he played in the issuance of landmark Executive Order No. 02 and Administrative Order No. 01. President Rodrigo Duterte signed EO 02 on July 23, 2016, otherwise known as Freedom of Information (FOI), mandating full public disclosure of all offices under the executive branch. SURIGAO CITY, Surigao del Norte, Nov. 19 -- The Department of Labor and Employment - Province of Dinagat Islands (DOLE-PDI) in collaboration with the local government units of Basilisa, San Jose and Libjo handed over three checks worth P749,000 to the beneficiaries of livelihood assistance under DOLE Integrated Livelihood and Emergency Employment Program (DILEEP) 2018. The beneficiaries came from the three municipalities in the province of Dinagat Islands namely, Tubajon, Basilisa and San Jose. DOLE-PDI program focal Arnaldo A. Anito turned-over the checks to Imee Women’s Association with 15 beneficiaries for their rice trading project amounting to P246,000; Sta. Cruz Fisherfolks Community Workers Association with 30 members for their rice trading project amounting to P300,000; and Salvador Women’s Association with 15 recipients for their ginger production amounting to P203,000. A re-orientation on the guidelines of the DILEEP was also conducted for the beneficiaries to be reminded of their duties and reportorial responsibilities under the project.